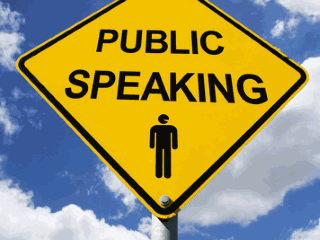 Home » Blog»Public Speaking » Is Public Speaking a Soft Skill? A ‘soft-skill’ according to Wikipedia is: a combination of people skills, social skills, communication skills, character or personality traits, attitudes, career attributes, social intelligence and emotional intelligence quotients, among others, that enable people to navigate their environment, work well with others, perform well, and achieve their goals with complementing hard skills. As a consultant for several decades, I’ve worked with 1000’s of clients in nearly every industry. I’ve never seen a job description which didn’t include and require communication, social and emotional intelligence skills. I often ask my clients if the last job they applied to detailed the need for communication skills, interpersonal skills or public speaking – the answer is always a resounding ‘yes.’ These are as critical to success in business or personal endeavors, as much as any other technical skill. In many roles they are more important than technical skills. Communication skills are vital in work and life. They are not ‘soft skills’ but critical assets to the successful speaker or leader. It is time we recognize and appreciate the primacy of these skills and train them with the same vigor we do technical skills. Great speakers and leaders are not born or endowed with these skills at birth, but rather learn them. With that in mind, what will you do to acquire these skills to navigate your next career move? Our expert team can help to get you there with public speaking and leadership training. If you found this post helpful please consider joining our newsletter or follow us on social media. You’ll get public speaking and leadership insights in your inbox just like this. Until next time, here’s to your communication success.